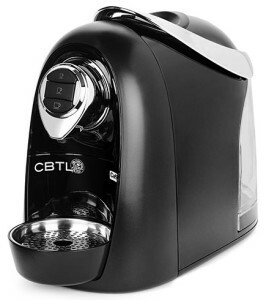 Get $50 off now on this innovative machine by The Coffee Bean that will brew coffee and espresso quickly in the comfort of your home. It will also make your favorite tea blends as well. If you don’t know what this product is, it is The Coffee Bean’s alternative to Kuerig’s K cup machine. The brewer doesn’t take up much of your counter space either, which is a great plus. Also, it comes in a variety of great colors to match your decor. Using the pod technology is so easy with this machine and you will get your hot and tasty beverage after only about two minutes of warmup in the morning. What can be better than that, especially on a cold bleak winter day when you aren’t ready to run to your favorite coffee house. Serve your guests a variety of flavors during your next dinner party or special occasion. Stock up on the most popular flavor variations so you will be ready for a drop in guest or two. Get one as a gift! If you need a holiday gift for this season, order it today, someone will be very happy to receive this great machine. Vote for us Below Thank You! !